Sydney truly has it all: crazy city-life, beautiful national parks to hike and explore on its edge, and stunning beaches scattered all around. There are so many beaches in fact, that it can be difficult to know which ones to visit. This article will help make your decision a little easier, though you really can’t go wrong. Visiting one of the most iconic beaches in the world is a no-brainer for most, but know this beach may not be for everyone. It has stunning views of the water and an epic pool that hangs over the ocean. There are loads of awesome shops and restaurants lining the beach, so there is plenty to do. However, it tends to be extremely busy at times due to its well-deserved fame. The water will be filled with surfers and swimmers while the sand is littered with sunbathers and kite flyers. If you love a lot of interaction, this is the place for you. If you’d prefer a more serene beach, perhaps opt for a calmer option. Another great stop on the Bondi to Coogee coastal walk, this is your chance to have a fabulous beachside picnic. There is a great stretch of grassy area with picnic tables to cross prior to reaching the beach, making it the perfect halfway mark for a scenic stop. The white sand on the beach makes it a great spot to lay out as well. Coogee is another popular destination for tourists, but it is not as crazy-packed as Bondi. This is a great place to go if you want a little bit of everything. Sunbathe, play some beach volleyball, go for a swim, and finally get some food at the Coogee Pavilion. They have aioli chips and margherita pizza that are to die for. 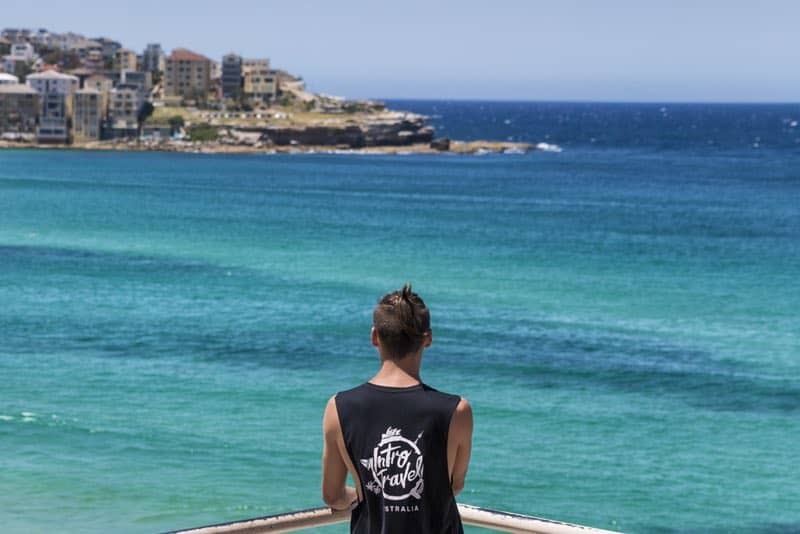 Maroubra is one of the prettiest and least recognized beaches in Sydney. It is a perfect place to go for a dip or lay on the beach alongside some locals. If you want to surf, make sure you are not interfering with the regulars who are often surfing here. Take a break from sunbathing to take the short hike from Maroubra to Malabar. This walk shows incredible views of the turquoise and aqua waters below, all in a more nature-esque walk than the Bondi to Coogee. Clovelly is a very tiny beach with a pool directly next to the ocean, allowing you to feel like you’re in the ocean without actually being in it. It is a great spot if you want easy access to some of the more popular beaches without dealing with crowds. Get your tan on or play a quick game of volleyball on this strip. If you want a secluded and serene beach, this is the one for you. Unless you live nearby, you aren’t likely to make a long trip to this beach. It is a bit far from a lot of the other beaches, but this is what makes it so great. 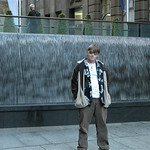 It is a hidden gem that you will have the experience of going to without a million other people being there too. 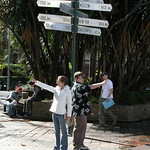 Another well-known spot, but not quite as famous as Bondi. Manly has lots of great shops all around it as well, and is the perfect spot to teach yourself how to surf without annoying the locals who are actually good at it. It won’t necessarily be a quiet getaway, but it also won’t be constantly filled with people. One of the best parts of this beach isn’t even the beach itself but the ferry ride over from Sydney Harbour, because it gives you the most epic views of the Opera House and the Harbour Bridge. On a visit to Palm Beach don’t miss out on the picture perfect walk to Barrenjoey Lighthouse. 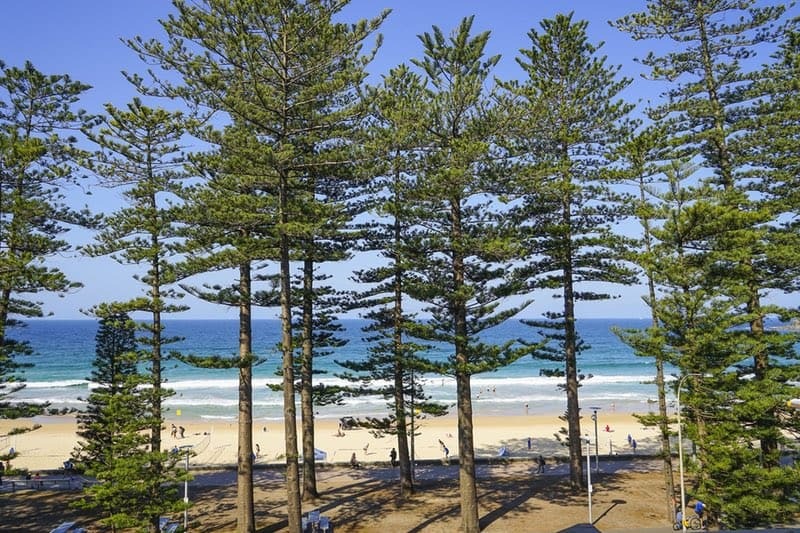 The top of this walk provides spectacular views of the beach from above. There is also an opportunity for a photograph that gives the illusion a fearlessness on a rock that juts out over the beach with a secret platform beneath it. 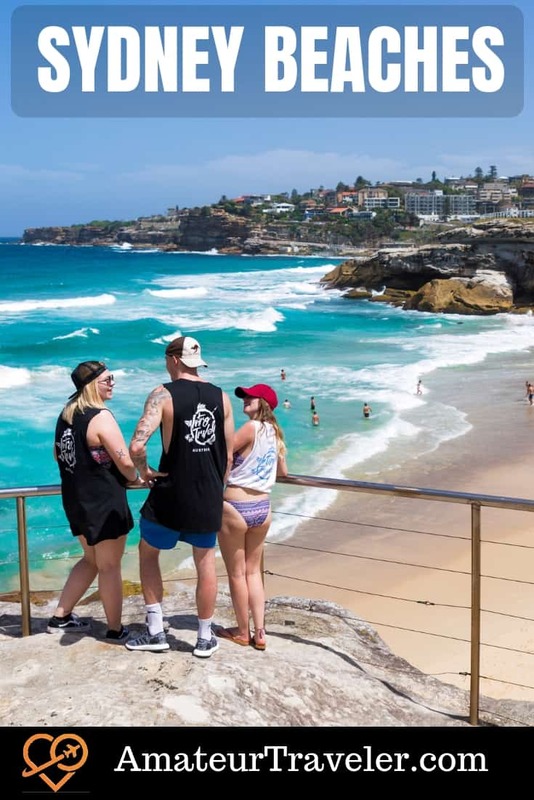 Much smaller than Manly or Bondi, but still a notable beach to visit, Tamarama is a beautiful little sliver of beach along the famous Bondi to Coogee Walk. It is a much quieter location due to its close proximity to Bondi, so it is a great place to relax and lay out in the sun. 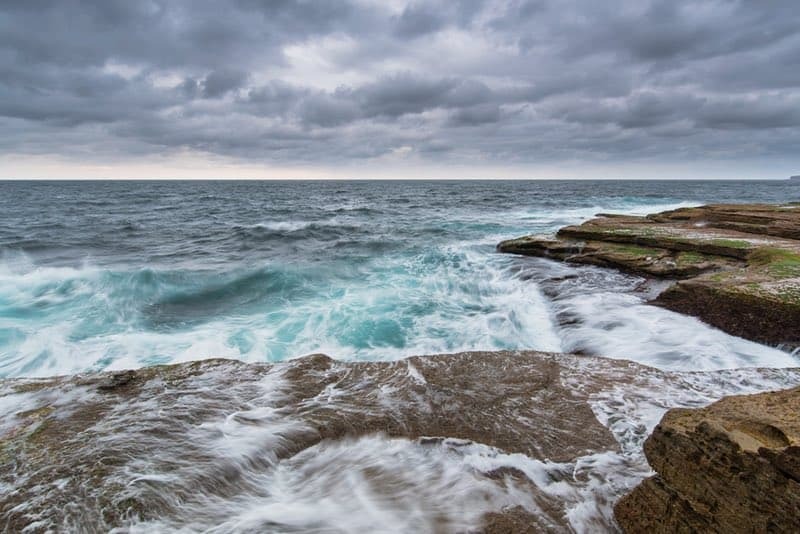 While this spot is one of Sydney’s most beautiful beaches, it is also one of the most dangerous. The nasty rip tides that occur here are a good reason to stay on the peaceful sand. If you want to go for a swim, you may want to save it for another beach or remain very close to shore. Marley Beach is only accessible via a hike through the Royal National Park. Though this beach isn’t ideal for swimming or surfing, it is a beautifully serene spot to rest after your walk along the towering cliffs of the park. Take in the bright blue waters as you relax on the often empty sand or cool off by dipping your feet in. If you’re lucky you may even spot a wild wallaby or two among the rocks. Shelly Beach is known for being a scuba divers and snorkelers paradise. With waters that go no deeper than 12 meters, it is the perfect place to do some exploring. There is a ton of marine life all in fairly low waters. Shelly Beach is sure to bring out your adventurous side and make your day a bit more exciting. Whichever beach (or beaches) you choose, you really can’t go wrong. 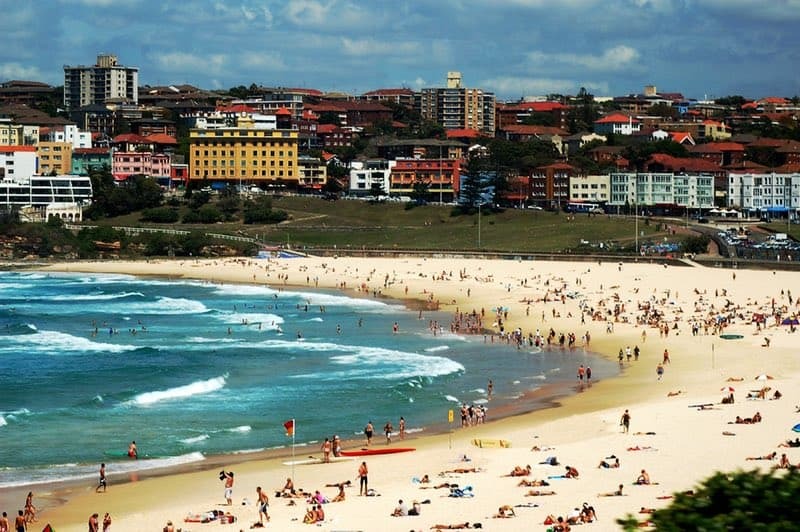 If none of these beaches seem to suit your fancy, Sydney has endless other beaches to choose from. 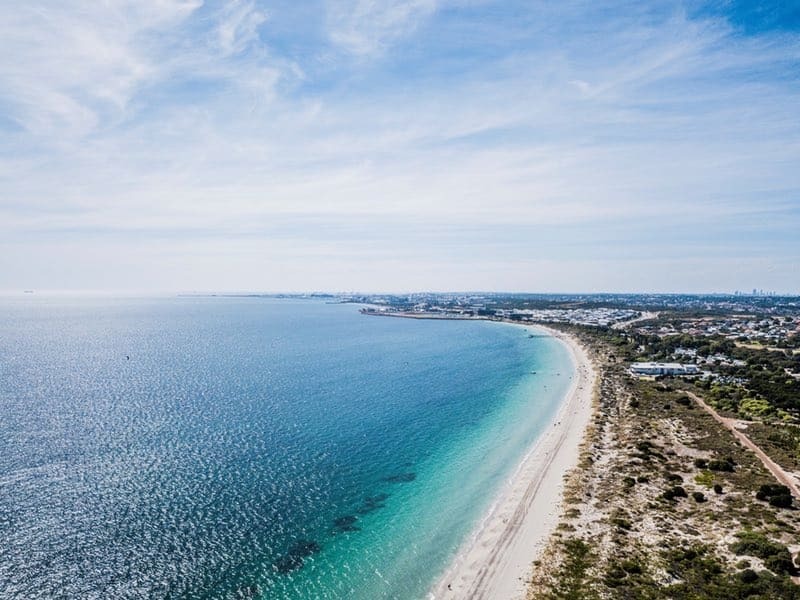 If you grow tired of the Sydney beaches, which is hard to do, then adventure out into the rest of Australia and continue your beach exploration. Hannah is an American student who is currently on exchange in Sydney, Australia. She has spent the semester exploring the city, as well as the country, and looks forward to traveling other countries in the future.